A free weekend, marvellous weather and 4 friends from all over Germany on their bikes - what started as a perfect recipe slowly turned for the worse. Bad tires, a broken engine and a nice encounter with the local police however didn't stop us from spending a great day in the Eifel. You just gotta make the best of it! Last year was amazing, we started with a ride with Young Generation Stahlwerk and David Bost. But we also rode pitbikes with Meddes and the bikesquad... And what happend next was truly epic, we got invited for the Husqvarna 701 Rideout with all the big crews: Supermoto Central, Superretards, Kikaninac, 100% Bitume, David Bost, Jester Entertainment and Kenny Stuntriding. This was the ride of our life and we've made a lot of new friends overseas. Next to that we've had several rides with David and Edgesofsupermotard. In the summer VDB and Crashking went to Germany to make their first vlog with Kikaninac and EdgesofSupermotard. Later that summer after several nice rides Crashking and VDB went on a second trip, to France! Here they met up with Kikaninac and Cafeine crew. At the end of the summer DK and Crashking decided to go to Austria to visit JesterEntertainment for a short trip, the Schnitzeljagd. To end this year we did several Enduro rides and some indoor pitbike racing. And don't forget, riding an official Dakar buggy from TW Steel. Thank you all for making this happen! VIENS PRENDRE TA DOSE DE SUPERMOT' ! 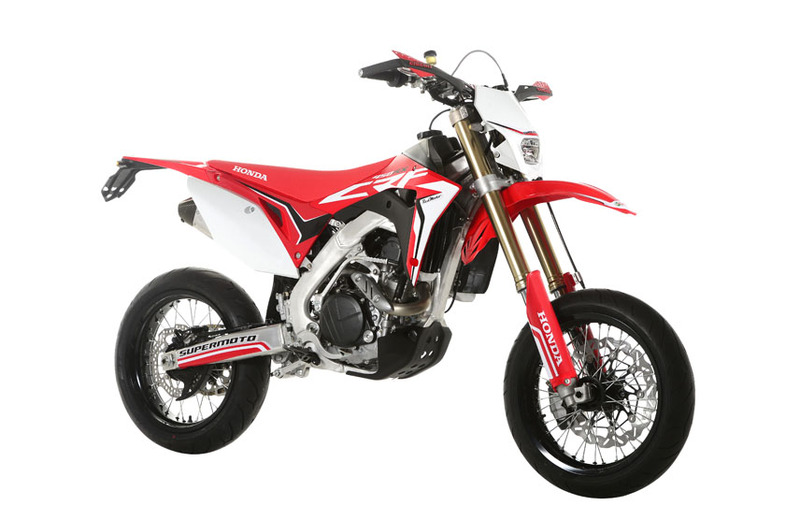 Italian Honda distributor Redmoto has released their new 2017 Honda CRF450RX and RXC models. The CRF 450RX is designed for riders who want to have fun and enjoy themselves on racetrack. The CRF 450RXC is for people who prefer street riding and has a oversize 8.5 liters fuel tank. Click read more for all the specs and the full photo gallery. VDB called us and said: TODAY I WANT TO SCRAPE! After this phonecall we were sure he would crash so we needed to be there to film the practice on his EXC500!